Click here to return to our store. Reflections on food, travel, and decor from our Laguna Beach boutique Stephen Frank Garden & Home, featuring beautiful decor and gifts for indoor and outdoor living including Italian garden pottery, European dinnerware, French linens, home decor, and gifts for all occasions. Located on the corner of Forest Avenue and Third in downtown Laguna Beach, California. 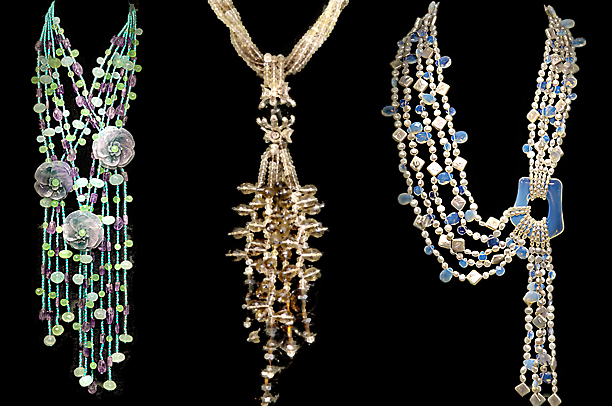 Friday & Saturday, November 2nd & 3rd, we're having a champagne reception for renowned jewelry designer Jackie Jones. Jackie will be presenting a trunk show of her new collection at Stephen Frank, giving our customers a first-look of her holiday collection. 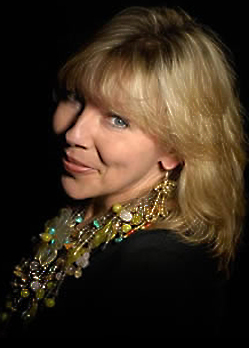 After spending 18 years in high tech marketing in England and the US, British-born Jackie Jones began her career as a jewelry designer in 2002. Frustrated by a lack of bold and distinctive jewelry designs, Jackie quit the corporate world to pursue a lifelong passion of running her own creative business. Inspiration for her designs comes mainly from being around gemstones: “When I see the combinations of different stones, the cuts and colors, the size and shapes - the creative juices start flowing and I see endless design possibilities.” Each unique piece of jewelry is a work of wearable art. Around 250 high-end boutiques, gift stores, galleries and jewelry stores in the US currently carry Jackie’s line as well as stores in Italy, England, Japan, Canada, and Mexico. The late actress Elizabeth Taylor owned several of Jackie’s necklaces. Jackie’s jewelry was also chosen to accessorize the collection of leading fashion designer Sue Wong at LA Fashion Week.